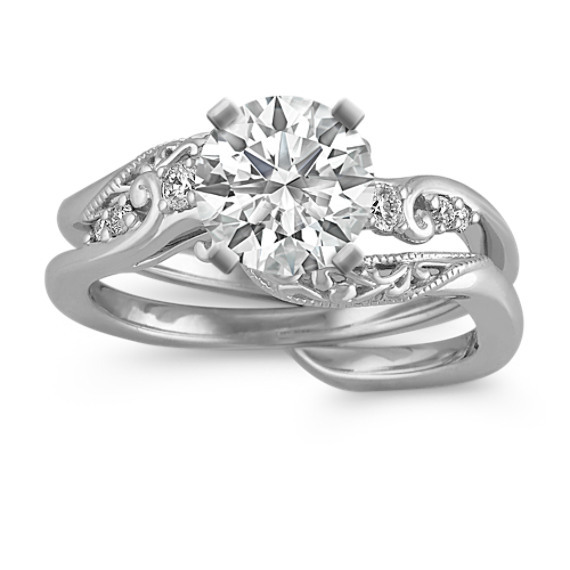 Round Diamond Vintage Wedding Set in Platinum | Shane Co. This distinctive vintage inspired wedding set is crafted from premium platinum that includes beautiful engraved and milgrain details. Six round diamonds, at approximately .11 carat total weight, add sparkling accents. Simply add the center stone of your choice to complete this supreme look.